we had three great services sunday. I started a sermon series on John Wesley’s three simply rules. Starting with the First rule Do no Harm. I used the scripture from Romans 12 and chapter 13. where the apostle Paul said that we should be careful about doing the things that Jesus has already warned us about. Such as lying, cheating, coveting, murder, stealing, and so on. There are two different point of views about not doing in harm. The first group is called deontology which comes for the word deon which means obligation. They believe it’s simple not to doing any harm as long as we follow the rules. The next group is teleology which means end or purpose. So Teleology believes that some actions that are questionable is ok, has long as the end is ok. For example the means of war. War is ok, as long as the end result is peace. But teleology has means that some of our simple actions aren’t so innocent and simple. Such as watching TV, or sitting on the couch. If watching TV keeps us from drawing closer to God, or sitting on Couch keeps us from leading our neighbor to salvation in Christ, then is our simple and innocent actions are very harmful. When tragedy strikes everybody flocks to the scene of the crisis to help the victims for the next few months. Money is poured out in communities, volunteers are made up of thousands of people, non profit organizations have to turn people away for a few months because everybody wants to be the first on the scene to help the needy. Then after the desire of the crisis has worn off, everybody returns home, the mission field goes from crowded busy streets flooded with volunteers to only empty ghost towns. The mission field is all but forgotten. This has been the case for a very infamous city, called New Orleans. In 2005 Hurricane Katrina struck New Orleans and destroyed all of the city. People responded to help, and for the most part of the city has been restored. Has the Super Bowl XLVII has held there last week, and Mari Gras is undergo right now, and all the beads that are being tossed to and fro there is still a part of the city that has not been restored to it’s former glory. The historical lower Nineth Ward. In 2010 it was said, that less than 20% of people have returned to their homes in lower Ninth Ward in NOLA. Hope hasn’t been restored to those who are still falling victims of Hurricane Katrina, and that’s because the people have forgotten about the mission field. The Apostle Paul in every letter that he wrote in the New Testament he always said that he remembered them always, and always praising God for the good work that had begun in them. He always remember every place that he went and preached the gospel at, and he prayed for them on a daily basis. May we be like the apostle Paul and remember the mission field and pray for the people of NOLA on a daily basis. Because they still need help, and they need to have hope and faith restored to them. In Galatians chapter 5 the Apostle Paul warns us about the works of the flesh. He tells us that the works of the flesh are the opposite of the works of the spirit. Matter a fact the works of the flesh is what brings pleasure to the flesh, such as lust, envy, greed, adultery, murder, slander and so on. The fruits of the spirit are love, joy, peace, patience, kindness, gentleness, generosity, and self-control. When we display the fruit of the Spirit then we are evident that surely God is working in us and through us for his glory. But here is the question how many times do we really bare the fruit of the spirit. It’s funny that we will spend a large amount of time making sure that we look presentable everyday before we officially start our days at work, school, or where ever we may go. We will dress up nice, make sure we smell good, because we want to make sure that we make a great impression on people. Because it’s about us, and nobody else. We want people to remember us, but when we do that or have that mentality that is the works of the flesh. See when we walk in the spirit then we dress ourselves in the spirit, and it’s the spirit that is the most important thing and that is what we want people to see in us. So today may we start walking in the spirit and not in the flesh, so everybody that comes into contact with us will see the spirit of the living God in us and not see us. Pastor’s View of Sunday Services. In the sermon I had three points to the message, 1. Don’t look back at past sins, 2. Don’t look back at old conflicts, 3. Don’t look back at old victories that make you think that you have arrived. Don’t look back at past sins that you have asked forgiveness of , when you do that you start to doubt God and his ability to forgive. Don’t look back at old conflicts that makes the pain return, that makes you depressed and bitter. Don’t look back at old victories that make you think that you have arrived, because God will knock you off your high horse. Let’s not look back, but continue to look forward toward the kingdom of God and our heavenly rewards. Because a great Godly Future beats a great worldly past every time. Weekly Devotion: Looking into the Past. Why is that we Christians have a hard time looking just looking forward into the future? So many times we when we look back at the past we get depressed, we wonder what might have been, old hurts comes back up from past arguments and then the anger rises back up in us again. So why do we look into the past? Jesus warns us once we become believers in the Christian faith, don’t look back. So why in the world do we have such a hard time looking straight ahead. Maybe it’s because we boast about ourselves, believing that we have arrived, believing that because we are now this forgiven child of God, we got this get out of hell free card, then nothing can stop us. But that’s truly not the case that we find to be biblical. If we take Jesus at his word, then once we became believers in Jesus Christ and look back into the past, then we aren’t really worthy of the Kingdom of God, now are we? According to Jesus, the answer is no. So what do we do, we continue to press forward looking into a future, because a great future is better than a great past! John Wesley, the founder of the Methodist Movement, had three simple rules that he lived by. Do no harm, Do good, stay in love with God. Sounds pretty simple right? It should be simple, but unless you have tried to live by these 3 rules don’t judge the person who has tried and had fallen short. Let’s take these rules and dissect them for moment. Do no harm, is anybody ever truly successful by doing no harm. Most of us would say yes, I do pretty good job at not doing any harm, I haven’t killed anybody, I haven’t caused anybody any problems, so I’m doing pretty good on the first rule. we have to ask ourselves this, have we gotten angry in the past couple of days, well that’s harm to ourselves, so then we are not good at keeping the first rule. Second Rule, Do good. We believe because we aren’t bad people so that must mean that we are good people right. Not necessary, the disciples came up to Jesus and said, Good Teacher, and Jesus immediately said why do you call me Good, no one except for the Father is Good. So if Jesus himself said he isn’t a good person then we have truly missed the mark. Third Rule, Stay in Love with God. Do we really need to discuss this rule? We don’t read the Word of God like we should, we don’t pray like we should, nor do we live our lives in the most holiest way like we should. John Wesley was a mighty man of God, a man after God’s own heart, he was faithful to the rules, so why is it that we fall short. 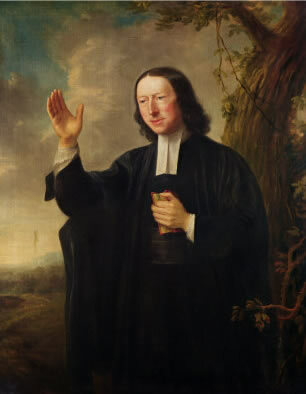 Maybe we need to follow in the footsteps of John Wesley and walk like him as he walked like Christ. Small Groups. What is a small group? Small Group is a small group of fellow believers gathered in a nonformal setting diving deep into the word of God. A small Group is usually made up of 8-12 people, who are christians that will meet on a weekly basis, to fellowship at the small group leaders house or an agreed location. Food is involved, the small group will spend the first thirty minutes of the group time eating, then they will spend the last hour studying and going over their lesson. A small groups are a great way to grow believers faith, a great way to get church people involved, and a great way to get new people coming to church. Small Groups get involved!